Rüsselsheim/Brüssel. Opel plays a starring role at this year’s Brussels Motor Show, with a major world premiere. The new Opel Zafira life was revealed today by Managing Director Sales, Aftersales and Marketing, Xavier Duchemin, during the press conference on the Opel stand 09-10 in hall 4. 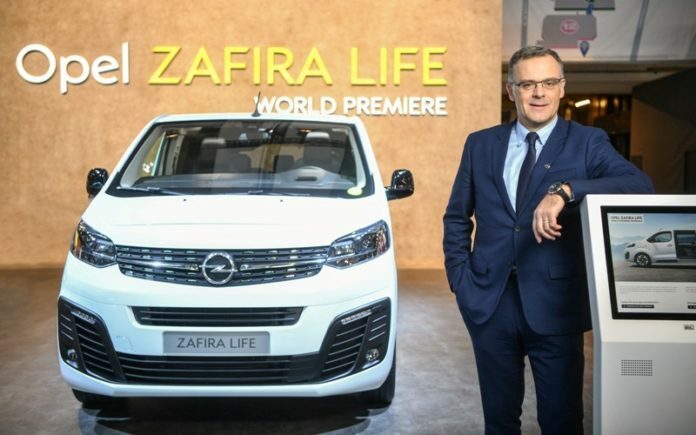 “Attractive as well as practical, the new Zafira Life makes travelling much more enjoyable, comfortable and adaptable, for drivers and passengers”, said Duchemin. The public debut of the opel GT X Expermential is another major attraction in Brussels. The concept represents the future of Opel and shows what customers can expect from the brand in future. Duchemin referred to the PACE strategic plan to show Opel is electrifying its model range and investing in growing market segments, thus becoming a sustainably profitable and global brand. 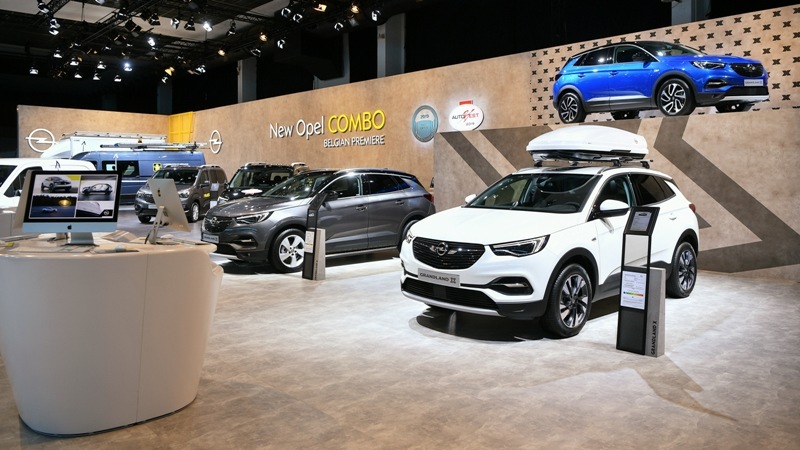 “Brussels is the first European motor show of 2019 and therefore the perfect opportunity for Opel to celebrate the first of several product premieres this year,” said Opel’s head of sales and marketing. The model making its world premiere in Brussels is just right for Opel’s anniversary year. The German carmaker has been producing practical vehicles with innovative technology for everyone for 120 years. These are exactly the qualities displayed by the new Opel Zafira Life. 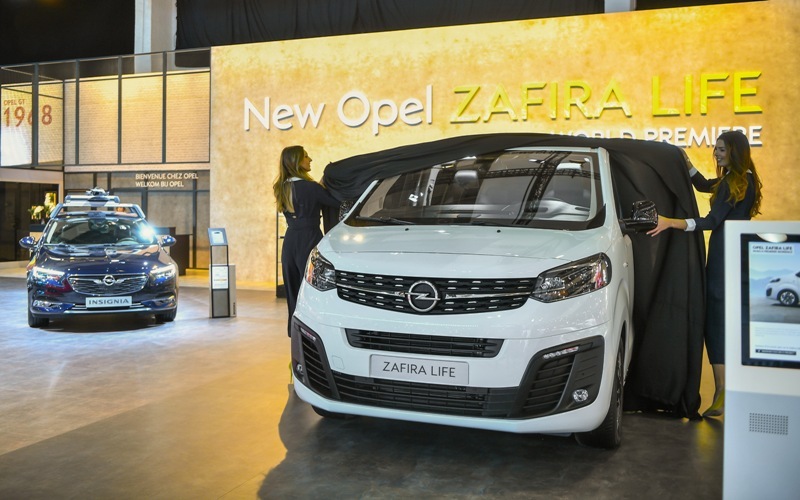 The Opel Zafira Life is a fun-to-drive as well as comfortable multi-purpose vehicle (MPV) that the German carmaker will offer in three lengths, tailor-made to customer requirements: the 4.60 metre “Small”, the 4.95m “Medium” and the 5.30m “Large” – each of which comes with up to nine seats. “The Zafira Life meets all demands,” said Duchemin, “from the versatile interiors and high comfort, to state-of-the-art infotainment and intelligent driver assistance systems.” A Zafira Life 4×4 will also be available to order from the start of sales. Opel will offer a purely electric version in early 2021, another milestone on the journey to electrifying the brand. The GT X Experimental shows how Opel sees mobility of the future: electric, and fully connected. The concept, which is making its first public appearance at the Brussels show, also gives a preview of the future for Opel as the exciting, approachable, German brand. The signature design cues – such as the ”Opel vizor”Front vascia and the ”opel compass” – will become the hallmark of Opel cars in the mid-2020s. “The GT X Experimental embodies the vision of our brand defined in PACE!” said Duchemin. 120 years of Opel automobile production, targeting sustainable success with PACE! But PACE! is not only a roadmap to the future, it is also a plan for the present, said Duchemin. As examples he named the new Combo Cargo, which has been voted International Van Of The Year 2019, and the Combo Life passenger car, which was named “AUTOBEST Best-buy-car of Europe 2019”! “Since the start of sales last September, we have already taken more than 36,000 orders for the new Combo, more than all the registrations of the previous model in Europe in whole 2017. We have received almost 200,000 orders for the new Insignia and the Grandland X and well over 130,000 for the Crossland X”, added Duchemin. A key role in this success is played by Rüsselsheim R&D centre, which has taken over responsibility for the development of a new generation of large vans as well as a new engine family and 15 competence centres for the entire Groupe PSA. The Opel product portfolio is additionally complemented by ”120 years”model variants. These special editions of the Opel ADAM, KARL, Corsa, Astra, Insignia, Zafira, Crossland X, Mokka X and Grandland X offer a wealth of high-tech equipment as well as design and comfort features.